BuzzFeed is a digital media company with news, quizzes and other entertaining content on its platform. The company also specializes in creating short video content around food and do-it yourself hacks, and depends fairly heavily on social media platforms such as Facebook and YouTube to reach a wider audience. The company had to delay its IPO that it had initially planned for 2018 after it reportedly missed its revenue targets for 2017. This has raised questions around the company’s future growth potential. BuzzFeed derives a significant portion of its traffic from social media sites such as Facebook and YouTube. Last year, Facebook changed its newsfeed algorithm in favor of more “friends and family” feeds, limiting audience exposure to publishers such as BuzzFeed who generate traffic and revenues from sponsored content on Facebook. BuzzFeed is now exploring several other avenues of revenue growth, such as a greater focus on its mobile app, e-commerce via its Tasty brand, and commercial partnerships. 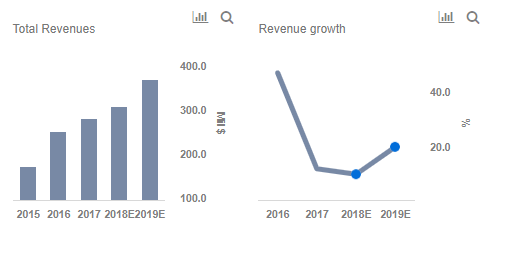 However the company’s revenue growth has slowed down and its valuation multiples remain low – as its future growth trajectory remains uncertain. 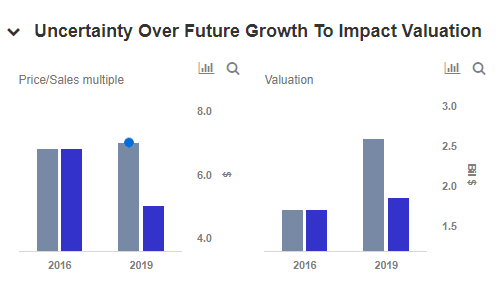 Our interactive dashboard Estimating The Valuation Of BuzzFeed examines BuzzFeed’s key valuation drivers and the possibility of upside in its valuation, with higher revenue growth. BuzzFeed reportedly missed its revenue target for 2017 by nearly 35%, leading to a delay of its IPO which was initially planned for 2018. The company generates revenues via native ads on its website and through ads on its videos published on social media platforms such as Facebook and YouTube. While the company’s content is popular, its monetization has not been optimal, and dependence on third-party platforms such as Facebook for distribution of its content has also impacted its revenue growth negatively. Revenue growth declined from 47% in 2016 to 12% in 2017. We forecast revenue growth of around 10% for 2018, though it could accelerate to 20% in 2019, as the company looks to diversify its revenue streams by focusing on its mobile app and a potential subscription model. According to Tubular labs, BuzzFeed was the top online video company in 2017 in terms of number of views (on Facebook and YouTube). However, despite more than 60 billion views of videos created by BuzzFeed, the company has only been able to monetize a portion of its content. Further, traffic to its own website is declining as users prefer more traditional news sites to consume content, impacting its revenues negatively. BuzzFeed was valued at $1.7 billion in its latest funding round in 2016. This implied a Price to Sales Multiple of around 7x based on the company’s 2016 revenues. Competitor Vox Media commands a P/S multiple of around 6x based on its latest valuation and revenues. To compare these multiples with other unicorn startups, see our dashboard on Revenue Growth Driving Revenue Multiples Of Unicorns. Digital media companies are facing headwinds as they struggle to attract users to their platforms and drive revenues. Mashable, another digital media and entertainment company, was sold for just $50 million – 75% lower than its previous valuation of $250 million. As BuzzFeed struggles to grow revenues, its valuation is likely to remain modest, so going ahead with an IPO with these headwinds may not work out well for the company and its investors. 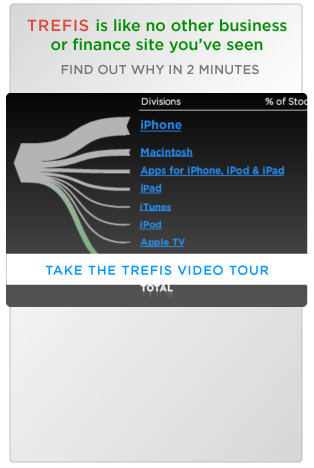 In a scenario where the company is able to establish a strong revenue model through better monetization of its videos, merchandise based on its popular brands such as Tasty, a strong subscriber base and a better revenue sharing model with social media platforms, it could command a P/S multiple of 7x or even higher. In this scenario, BuzzFeed could see an upside in its valuation, and if it is successful with even some of these initiatives it could proceed with an IPO. Absent these growth drivers, it probably makes sense for the company to delay it further.